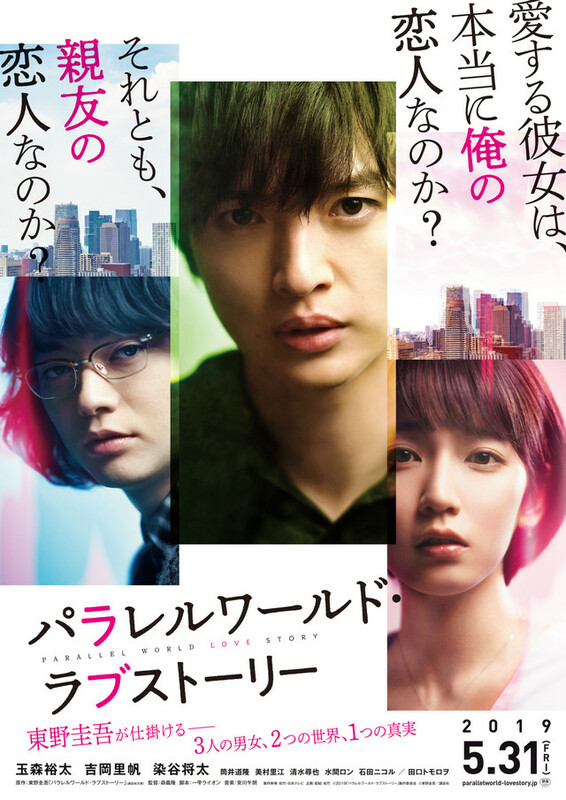 "A world" - After graduating from a university, close friends Takashi Tsurug and Tomohiko Miwa begin work at a company which does brain research. One day, Tomohiko introduces Mayuko Tsuno as his girlfriend. Takashi is stunned. When he was a university student, Takashi saw Mayuko Tsuno everyday on the train opposite from the one he rode. He became attracted to her back then. "B world" - When Takashi Tsurug wakes up, his girlfriend Mayuko Tsuno makes breakfast as usual at his apartment. His friend Tomohiko Miwa introduced him to Mayuko and they have lived happily as a couple. Everything seems to be going smoothly, but Takashi begins to have doubts. Tomohiko, who worked with him at the same company, disappears and he can't discern if his memory is real or imaginary.